For registrations 12 May onwards the cost is $20.00 per person extra. 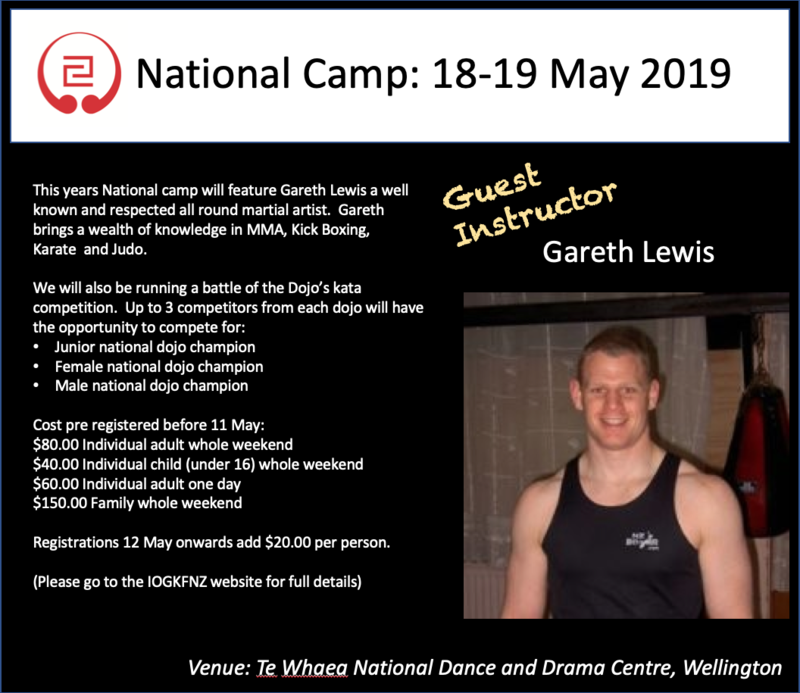 Payments can be made either in advance by direct bank payment in to our IOGKFNZ General Account 02 – 0500 – 0815732 – 00 (please note all payment by bank deposit must include the name of the attendee and their dojo) or by cheque or cash on the first day of the gasshuku. Click here for the googledocs registration form. Although not formal for those arriving on Friday we will organise a training session as required. We are also investigating the possibility of a demonstration which will most likely be run on Saturday. Any questions please contact David on iogkfnz.gmail.com.